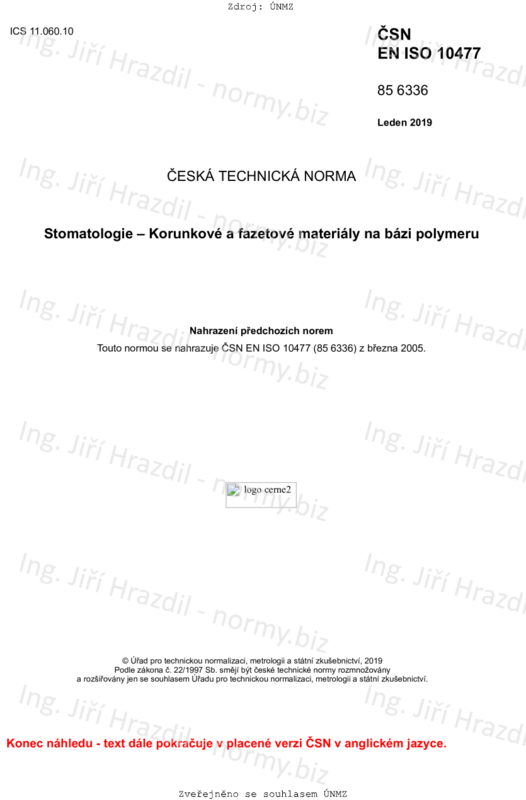 This document classifies polymer-based crown and veneering materials used in dentistry and specifies their requirements. It also specifies the test methods to be used to determine conformity to these requirements. This document is applicable to polymer-based crown and veneering materials for laboratory-fabricated permanent veneers or crowns. It also applies to polymer-based dental crown and veneering materials for which the manufacturer claims adhesion to the substructure without macro-mechanical retention such as beads or wires.